There has been much discussion regarding tariff sections 232 and 301, but what do they really mean for the fastener industry? To recap, on May 31, 2018, the Department of Commerce announced the imposition of tariffs on imported steel and aluminum products from Canada, Mexico, and the European Union (EU). The 25 percent tariff on imported steel and the 10 percent tariff on imported aluminum products officially took effect on June 1, 2018. 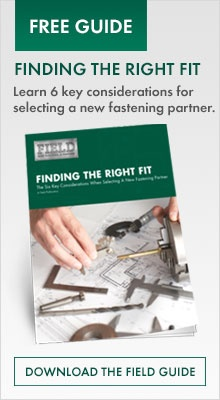 Many US fastener manufacturers prefer steel from Canada. Supply is more available, materials are high in quality and its more efficient to import. The tariff 232 impact could be part specific – small diameter items (M5 or less), internally recessed items, or parts with larger diameters of upset – all could face the 25 percent tariff impact for steel. 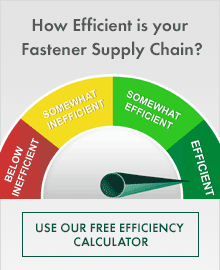 If a USA fastener manufacturer has Canadian material as their primary supply chain for fasteners of all diameters and complexities this could have their entire portfolio of items impacted. Keep in mind that the 25 percent tariff on material does not mean 25 percent for the finished part. Part size impacts the percent of raw material in total cost. The larger the diameter and length, the greater the tariff impact when material is imported from affected nations. What about Tariff Section 301? Many in the industry breathed a momentary sigh of relief when our imported products escaped the first round of tariffs placed upon China. With the new round of tariffs (phase 3), many imported fastener products will now be affected including, but not limited to – some raw materials and metals used in the manufacture of fastener items in US; and purchased items that include screws, bolts, washers, nuts, rivets, pins of all natures, and components that assemble in motor vehicles, farming equipment, etc. All of these items would be tariffed at 25 percent (from 10 percent), having significant impacts on importers and their customers. This phase of tariffs is scheduled to go live towards the end of September pending approvals. Re-sourcing to non-affected nations is underway which will affect capacity and throughput but is a way of mitigating the cost impact. Mexico and the EU are said to be working with Washington and hopefully will resolve their trade concerns by the end of 2018. The fastener and fastener distributor world is eager for the same progress with Canada and China.